Mike, his wife Kathie, and their dog Opie ( LifeRebooted.net ) have been traveling full-time since early 2014, leaving behind their technical careers and prior home. Starting out in a Tiffin Open Road gasser, they later upgraded to a Phaeton. Having installed and programmed a custom home automation system in their old “sticks & bricks” home, the lack of automation in their motorhomes was frustrating! 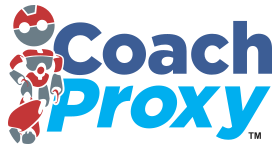 Mike got involved with the CoachProxy project to implement Tiffin’s new 2018 features and his participation quickly grew. With Michael Kidd’s help, it wasn’t long until Mike was ready to take the lead on the project moving forward. Michael and his wife Lehnanne ( VegasEnvy.us ) have been full-time RV’ing since 2007. Michael has always had a passion for technology and is always looking for the next “itch” to scratch. When they made the decision to purchase a Tiffin Allegro Bus, one of the first “itches” Michael foresaw was the ability to control the coach from his phone. Having had experience with similar multiplex technologies in the past, Michael knew he already had a good foundation to build on for this project. Within 6 months of owning the 2016 Tiffin Allegro Bus 45OP, Michael was able to communicate with the Spyder Controls network and control loads throughout his coach. David and his wife Brenda ( OutsideOurBubble.com ) started RV’ing in 2008, leaving it all behind for a full-time RV life in 2013. David has a long history of technology-based ventures including starting (and later selling) a successful Audio/Video forum, a TiVo forum and a Digital Broadcasting forum among many others.